Late Fragments: Letting Go: What should medicine do when it can't save your life? 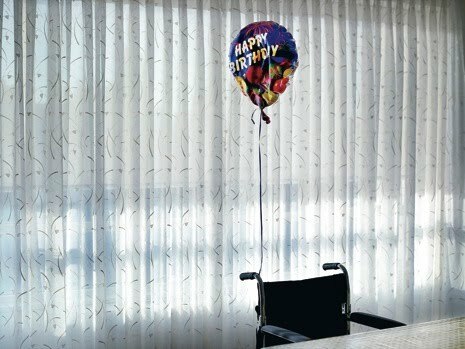 Letting Go: What should medicine do when it can't save your life? Dr. Atul Gawande's recent New Yorker article on the process of letting go in the last stages of life is beautifully written and very informative. It's a must read. Aside from masterful fiction, including Master and Man and The Death of Ivan Ilych by Leo Tolstoy, as well as Errand by Raymond Carver, it's the best I've read about the end of life. "About two-thirds of all patients are willing to undergo therapies they don't want if that is what their loved ones want. ... " This observation surprised me at first, but upon reflection it makes sense. We the living have our own work to do when it comes to dealing with loved ones who are near the end. "The simple view is that medicine exists to fight death and disease, and that is, of course, its most basic task. Death is the enemy. But the enemy has superior forces. Eventually, it wins. And, in a war that you cannot win, you don’t want a general who fights to the point of total annihilation. You don’t want Custer. You want Robert E. Lee, someone who knew how to fight for territory when he could and how to surrender when he couldn’t, someone who understood that the damage is greatest if all you do is fight to the bitter end. More often, these days, medicine seems to supply neither Custers nor Lees. We are increasingly the generals who march the soldiers onward, saying all the while, “You let me know when you want to stop.” All-out treatment, we tell the terminally ill, is a train you can get off at any time—just say when. But for most patients and their families this is asking too much. They remain riven by doubt and fear and desperation; some are deluded by a fantasy of what medical science can achieve. But our responsibility, in medicine, is to deal with human beings as they are. People die only once. They have no experience to draw upon. They need doctors and nurses who are willing to have the hard discussions and say what they have seen, who will help people prepare for what is to come—and to escape a warehoused oblivion that few really want"